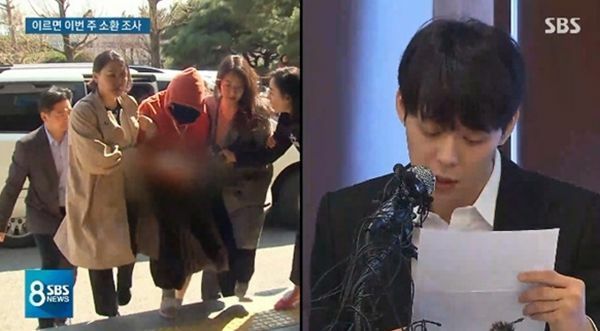 The latest news is no bueno for actor-singer Park Yoochun. 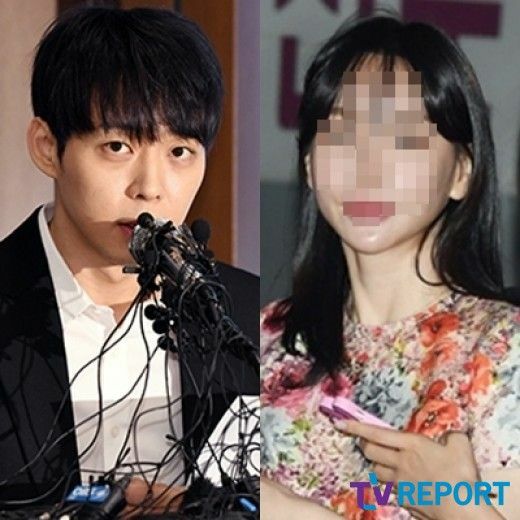 After holding a teary preemptive press conference claiming he’s never used drugs and is definitely totally absolute not the “friend” that former fiancee Hwang Hana alleges gave her drugs during her own drug use investigation, the police have announced that they have hard evidence that both did in fact use drugs and currently has put Yoochun on the no fly list. 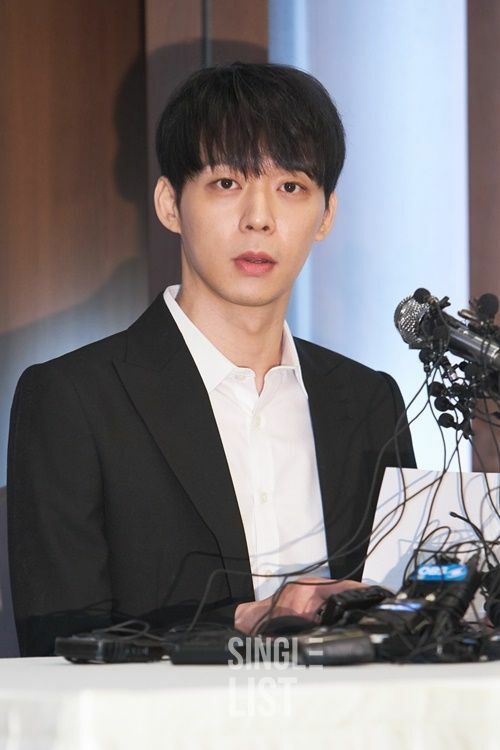 He’s barred from leaving the country as the investigation continues but it’s certainly a rebuttal of Yoochun’s claim to be innocent. I doubt anyone pressed that weirdo loony Hwang Hana to take drugs, girl does whatever she wants, but it’s not impossible that the former couple partook together. I’ll leave Yoochun’s fate up to the Seoul police but for someone trying to rebuild a scandal plagued career this may be the final nail in the coffin. Or not, he’s known to have die hard fans. Ms Koala, I know this is OTT but have you been watching the excellent Taiwanese drama ‘The world between us’ or is it not your taste? Toilet chun, don’t let him come back in kdramaland. I hope park shi hoe next! He put up such a needless emotional show at his latest Press Conference. He was in tears and deny he ever took drugs….Now he is exposed as a liar. I really feel he should not even be allowed a comeback! His press conference makes things worse. Now he is also a liar (if report of police investigation is correct). Japan has zero tolerance to drug use so he will have a hard time holding any more concerts there. Yep, being a drug user is bad but lying about it is even worse.